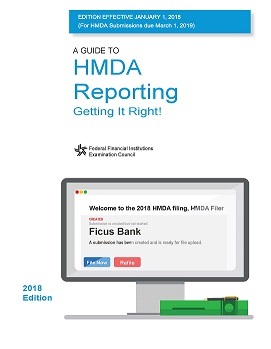 The CFPB has announced the availability of the FFIEC's 2019 edition of A Guide to HMDA Reporting: Getting It Right!, for HMDA submissions due March 1, 2020, of applications and originations during 2019. The 2019 edition reflects amendments made to HMDA by the Economic Growth, Regulatory Relief, and Consumer Protection Act and the 2018 HMDA interpretive and procedural rule issued by the CFPB. The appendices provide additional implementation materials reporting lenders may find useful.